Full-fledged 5G is just around the corner, according to Ericsson’s latest June 2017 Mobility Report. The acceleration of 5G New Radio (NR) standardization will enable large-scale trials and deployments of 5G in 2019. Thus, the number of 5G subscriptions is forecast to exceed half a billion by the end of 2022. The 3rd Generation Partnership Project (3GPP), the collaboration between groups of telecommunications associations, known as the Organizational Partners, approved acceleration of the 5G NR standardization schedule in March 2017 by introducing an intermediate milestone for an early variant called Non-Standalone 5G NR. This will enable early 5G deployments, according to Ericsson’s Mobility report, and support the requirements for enhanced mobile broadband services. Ericsson anticipates that early 5G deployments will occur in several markets in the coming years. In 2022, the number of 5G subscriptions is forecast to reach more than 500 million. However, 5G subscriptions will require a device capable of supporting 5G services and use cases, and that is connected to a 5G-enabled network. ZTE was the first to unveil a 5G smartphone, called the Gigabit Phone, capable of 1Gbps download speeds. With 5G on the horizon, a 4GB, 6GB or even 10GB plan won’t be enough when you’re dealing with download speeds that approach 1Gbps. ZTE’s Gigabit Phone unveiled at Mobile World Congress 2017, although not available for retail, was intended to showcase 5G and the lighting-fast upload and download speeds that will come with it once the technology is rolled out. ZTE’s Gigabit Phone is powered by the Qualcomm Snapdragon 835 Chipset Platform, which features an integrated Snapdragon X16 LTE modem. The solution combines wireless carrier aggregation with 4x4 MIMO antenna technology and 256-QAM modulation to achieve download speeds of up to 1Gpbs. These impressive speeds are no longer theoretical – they represent the future of 5th Generation mobile technology. It’s debatable whether ZTE’s Gigabit Phone is a “true” 5G device. The company calls it “pre-5G” because it features technologies that will help provide a significant speed increase to bridge the gap during carriers’ transition from 4G to 5G networks. It’s similar to HSPA+, the 3G technology that US telecom operators AT&T and T-Mobile spent time marketing as 4G. To the end user, the technology behind 1Gbps download speeds won’t matter very much while he/she is live-streaming 360-degree panoramic video content. Over time, 5G will enable a wide range of use cases for massive Internet of Things (IoT) and critical communication, Ericsson reports. For now, GSM/EDGE-only (EDGE is considered a pre-3G radio technology) still constitutes the largest category of mobile subscriptions. However, LTE (high speed wireless communication based on the GSM/EDGE and UMTS/HSPA technologies) is anticipated to become the dominant mobile access technology in 2018, the report highlights, and will likely reach 5 billion subscriptions by the end of 2022. By that time, it’s forecast that the number of LTE subscriptions will be more than seven times the GSM/EDGE-only subscriptions. In developing markets, GSM/EDGE will still account for a significant share of subscriptions, and across all regions, most 3G/4G subscriptions will still have access to GSM/EDGE as a fallback option, says the report. In addition, GSM/EDGE will continue to play an important role in IoT applications. Ericsson forecasts that mobile broadband will account for more than 90 percent of all mobile subscriptions by 2022. It’s anticipated that by the end of that year there will be 9 billion mobile subscriptions. In addition, mobile broadband subscriptions will likely reach 8.3 billion, thereby accounting for more than 90 percent of all mobile subscriptions. The number of unique mobile subscribers, according to Ericsson, is estimated to reach 6.2 billion by the end of 2022. Today, 90 percent of smartphone subscriptions are for 3G and 4G. Devices are more affordable than they once were which is driving increased smartphone adoption, Ericsson highlights. At the end of 2016, there were 2.9 billion smartphone subscriptions, the majority of which were 3G and 4G. Ericsson predicts that by 2022, the number of smartphone subscriptions will reach 6.7 billion, and almost all of these will be for mobile broadband. Across all regions mobile subscriptions continue to grow, according to Ericsson’s report, fueled by a strong uptake in mobile broadband. Mobile subscriptions account for between 50 and 85 percent of all mobile subscriptions in 5 out of 6 regions in the world. For many people living in developing markets, their first experience of the internet is through mobile networks on a smartphone. From the perspective of Africa and the Middle East, the penetration of mobile broadband is currently lower than in other regions, but the number of mobile subscriptions is expected to increase significantly. The driving factors behind this growth, the Ericsson report indicates, include a growing young population and more affordable smartphone options. Interestingly, it is not Apple or Samsung – the current top players in smartphones – that dominates Africa’s fast-growing smartphone market. In fact, it is Transsion Holdings, an obscure Chinese manufacturer that won over African consumers. Transsion offered handsets with two SIM-card slots, after research showed that Africans were carrying additional cards to avoid making out-of-network calls to save money. In addition, Transsion optimized its cameras to better highlight dark skin tones. 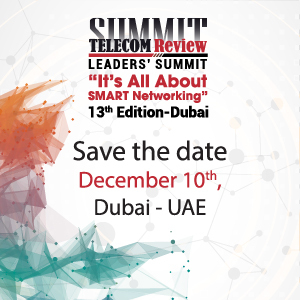 According to a recent report by consultancy Deloitte, Middle East mobile operators are expected to invest US$50 billion in network infrastructure from 2017-2021, with particular focus on 5G networks. These investments are particularly timely as the region is scheduled to host key events such as the Expo 2020 in Dubai where millions of people will be using their mobiles to send and receive SMS, video content and social media. Ericsson predicts that over the next few years, Africa and the Middle East will dramatically shift from a region with a majority of GSM-EDGE-only subscriptions, to a region where 80 percent of the subscriptions will be WCDMA/HSPA and LTE. However, GSM/EDGE-only subscriptions will still account for a significant share of subscriptions by 2022. In comparison, WCDMA/HSPA and LTE already account for around 65 percent of all mobile subscriptions in South America, which is expected to increase to 95 percent by 2022. Overall, North America has the highest share of LTE subscriptions because of rapid migration from CDMA and WCDMA/HSPA-based networks. This trend will continue with 5G, according to Ericsson’s report, as leading operators in the region have said their intention is to expand into pre-standardized 5G as early as 2017. This will result in North America having the highest share of 5G subscriptions in 2022 at 25 percent. In comparison, Western Europe’s regional share of 5G subscriptions in 2022 is expected to be 5 percent. China, the world’s most populous country, has seen ongoing deployment of LTE and is expected to result in more than 1.3 billion LTE subscriptions by the end of 2022, according to Ericsson’s report, making up around 80 percent of all mobile subscriptions. However, across Asia Pacific, LTE will represent just 55 percent of all mobile subscriptions by the end of 2022. By that year, 5G will account for around 10 percent of Asia Pacific’s subscriptions, with deployments starting in South Korea, Japan and China.